Once spring settles in you’ll be itching to utilize the back porch or patio. 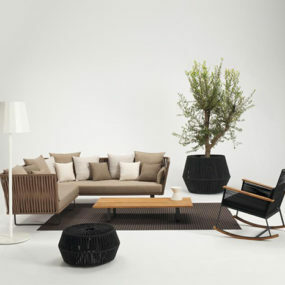 So, before it really starts to warm up, why not add some fresh new bits to your space. Before weekends of entertaining and BBQs start to happen, do some sprucing. 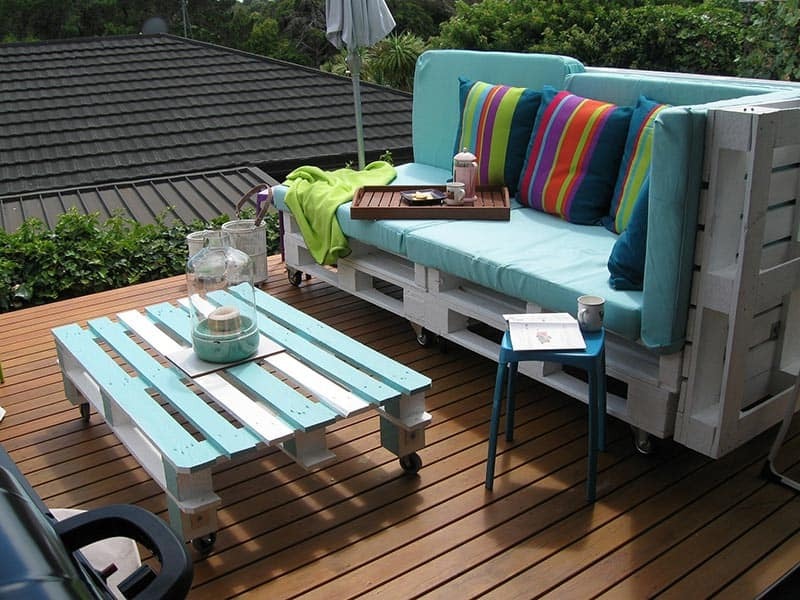 Check out these 15 pieces of pallet patio furniture to spark some inspiration! 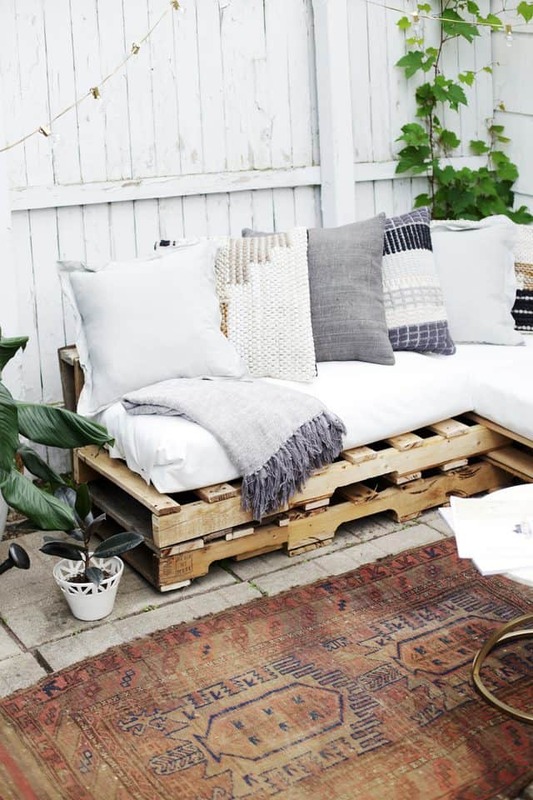 Pinterest starts us off with this simple pallet set. It can be painted, if you want a pop of color, but the neutral setting actually creates a more modern style and one that much easier to personalize with cushions and the like. 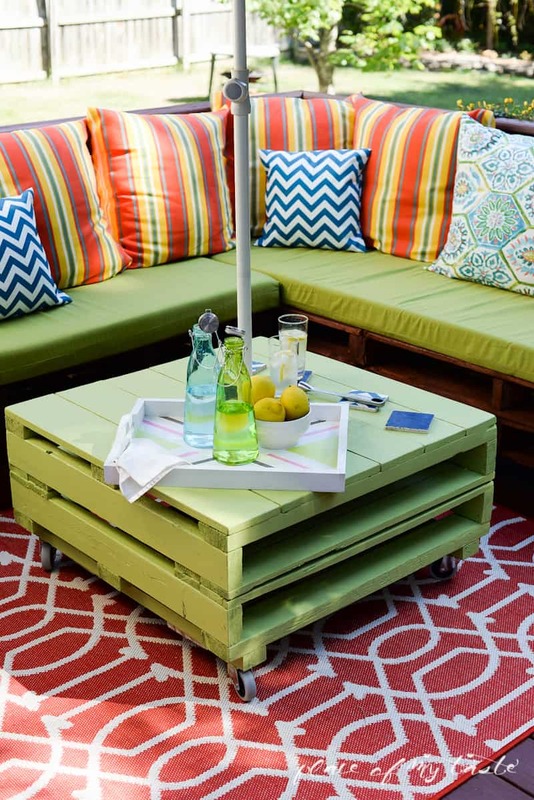 Place of My Taste showcased this gorgeous, lime green pallet creation. We love the vibrant colors. 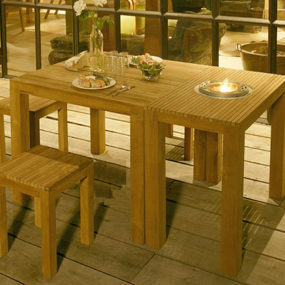 It’s really the best kind of outdoor furniture for wining and dining with friends. 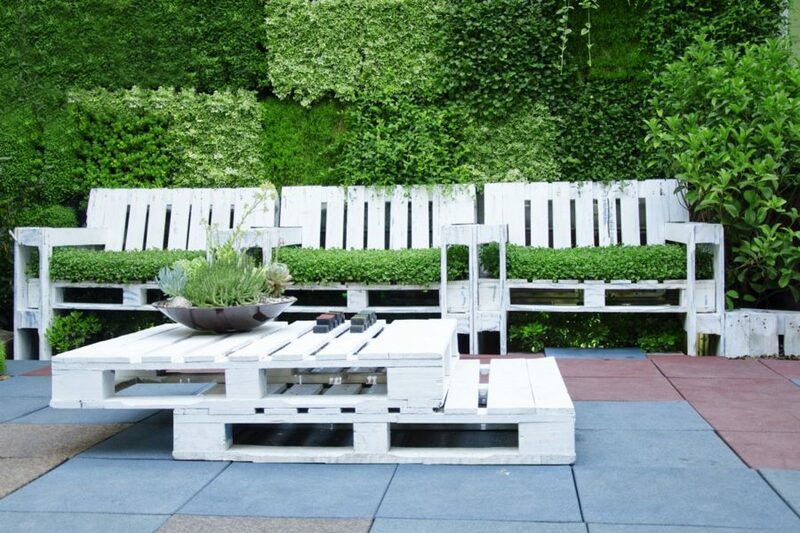 We’re really loving this fresh-faced white pallet furniture. The coffee table and bench dup work beautifully outside, especially popping off all of the greenery around it. 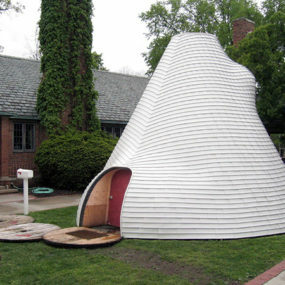 Found at Curbed, grab the details after the jump. HGTV provided us with these great DIYs. 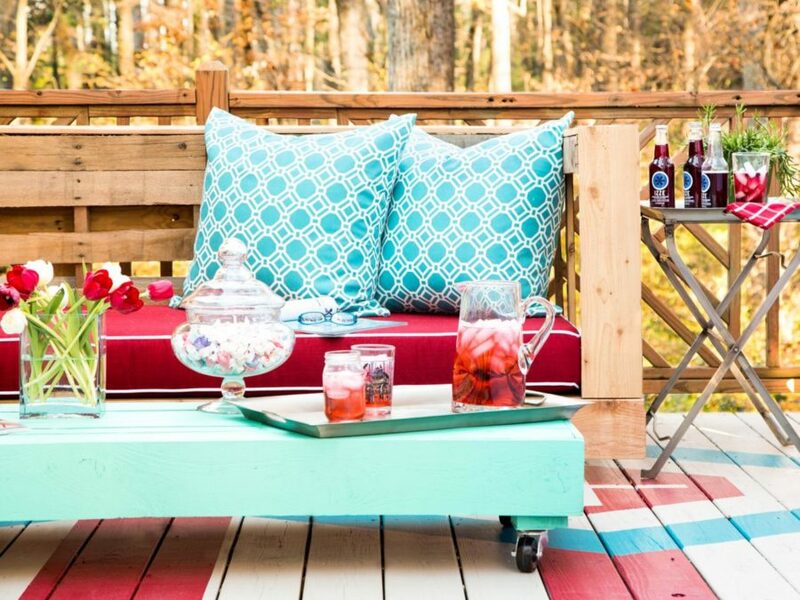 The pallet sofa and the rolling table make entertaining on the back porch a lot easier. We could see that sofa painted that same beautiful turquoise tone as well. 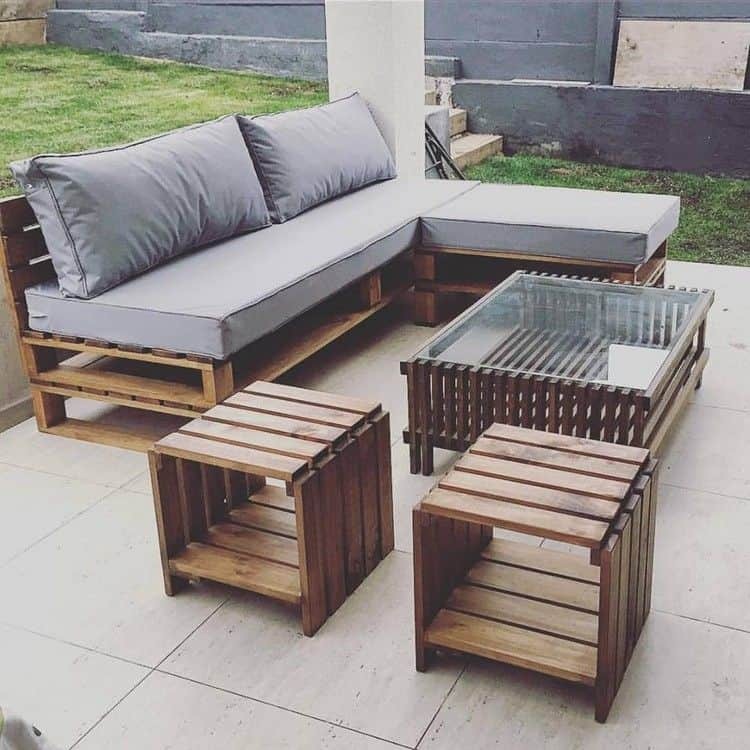 We are in absolute love with this pallet patio furniture from Pretty Prudent. The foundation is really easy to recreate. But the styling is A+ with the blush cushions and the boho throw pillow toppings. Of course you could always take the paint job a step further. 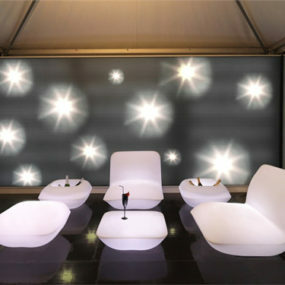 Look at this vivacious setup we found at Homestyle Digest. A dash of white and a bout of aqua, it’s a classic combination for the summertime. 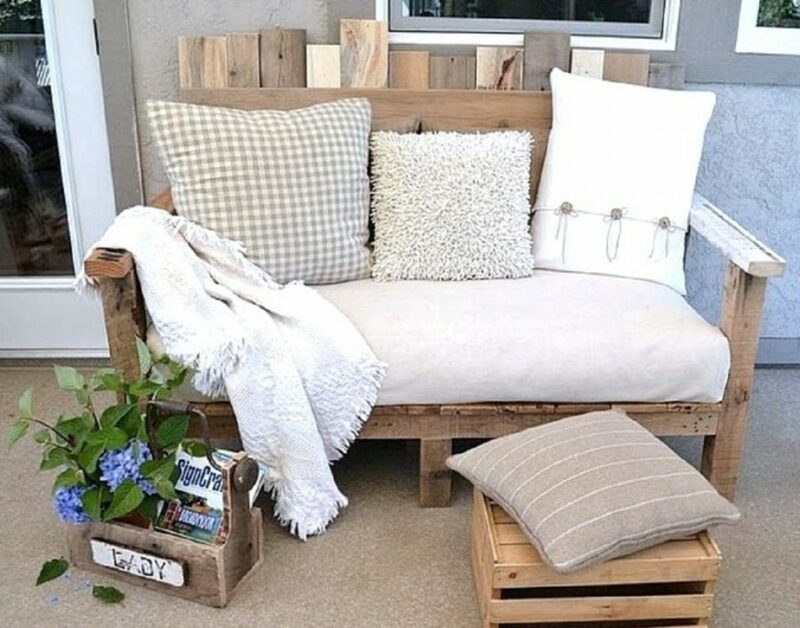 Of course, instead of a sofa, you could always create or buy a classic pallet bench instead. We found this peek on Pinterest and loved the rusticism behind it all. That orange color is a great pick against that deep wood too. 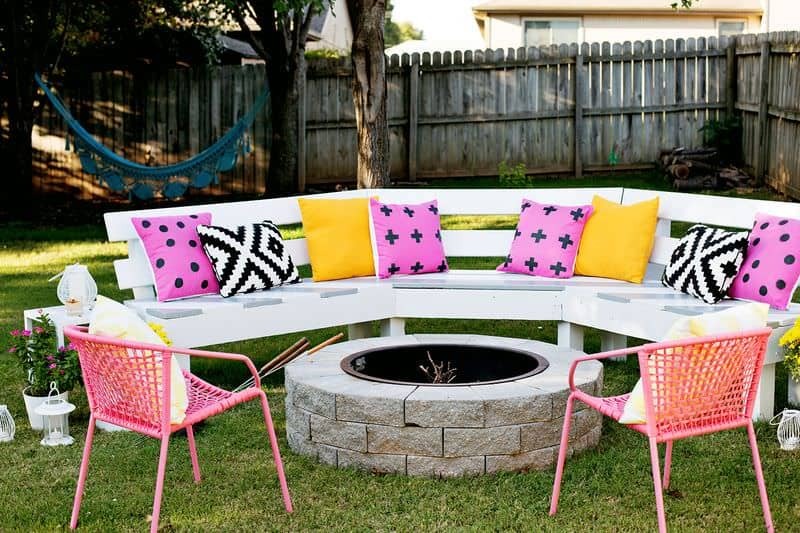 1001 Gardens shows us how to make this gorgeous circular pallet bench. It’s the perfect addition for your outside fire pit. We love the white paint too making any of the accessories around it pop! 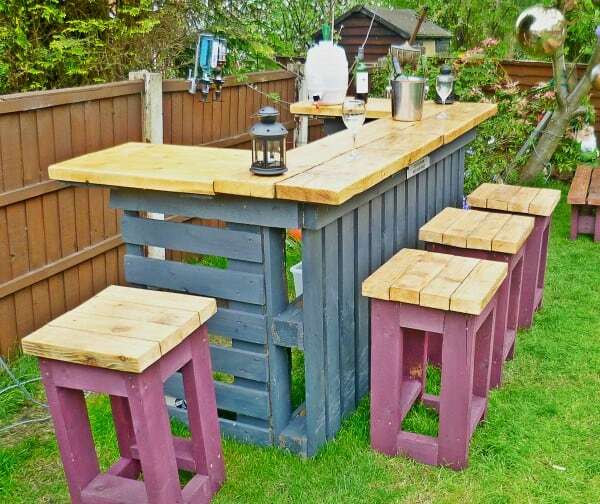 Check out this pallet bar that you can use to entertain your guests outside. 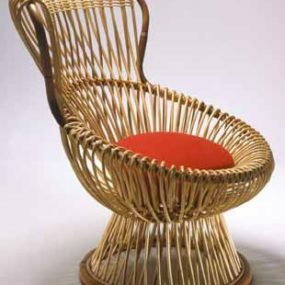 We snatched it from Homedit and love the ease behind its making and the design. For those that don’t have too much space to work with, check this project out. 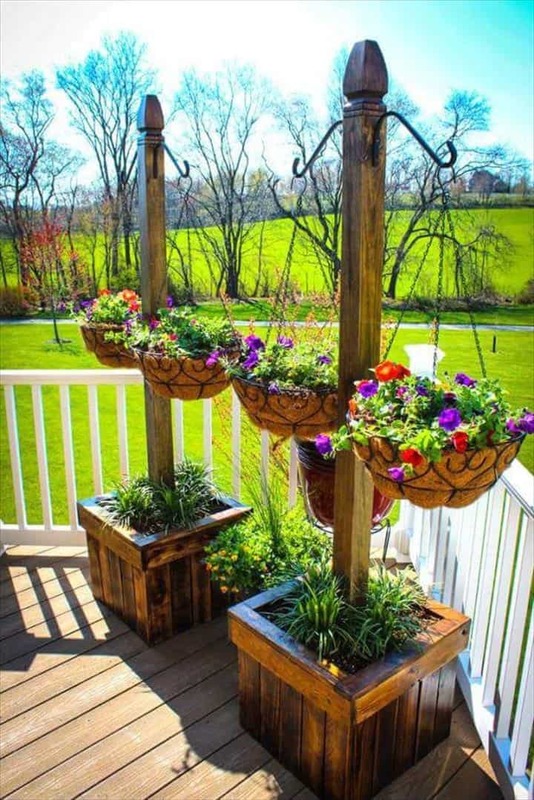 Sequin Gardens created some standing outside planters out of pallets. 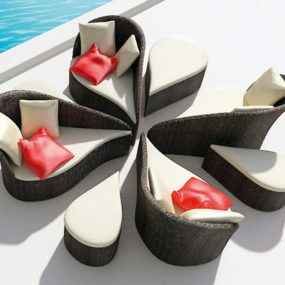 We love the innovation and how quickly these will spruce up the patio. Add some hooks too for some hanging plants. 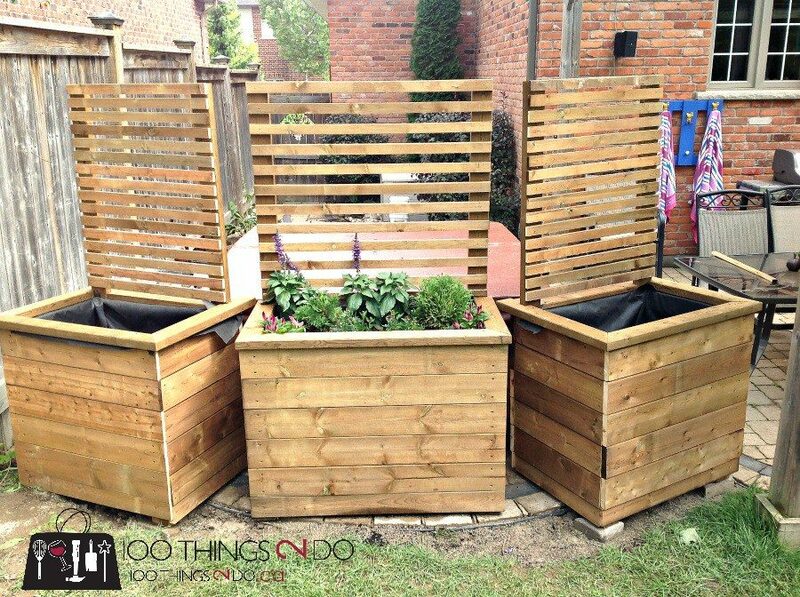 Privacy planters could be a fun addition to your outdoor space. Check out how to whip these up at 100 Things 2 Do and then the entire family involved with the project! 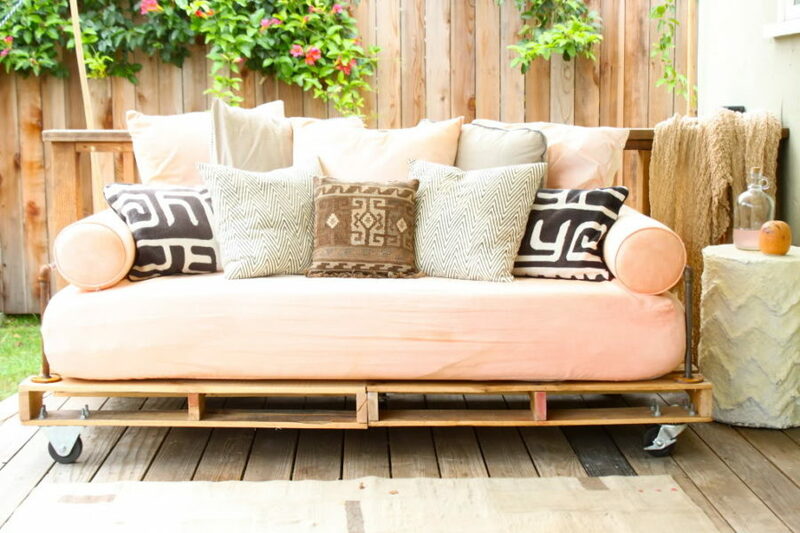 Probably our favorite on the list is this platform-style daybed. Hunker featured this peek and we love the entire bohemian spirit behind the decor and mix of pieces. If you’re looking for relax your outdoor patio, this is the way to go. 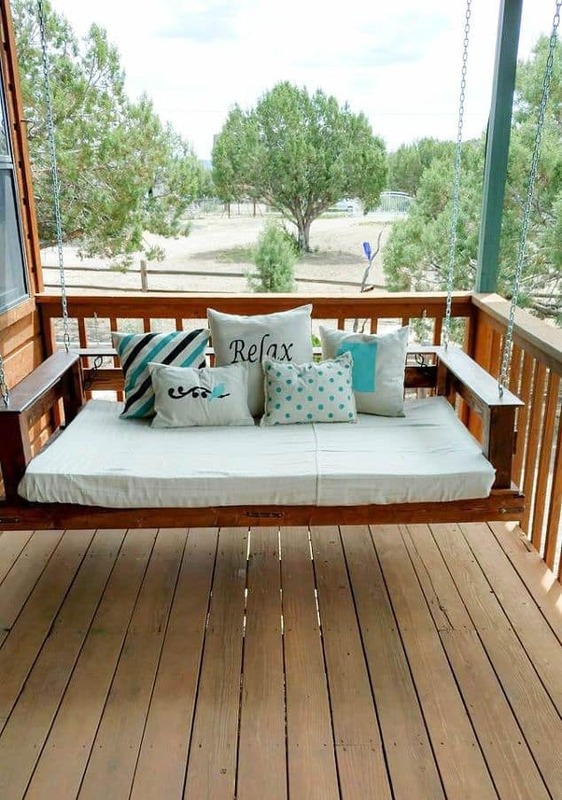 Hometalk had this pallet swing up their sleeve and we had to feature it too. 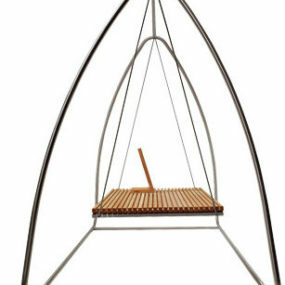 What better way to jazz up your outdoor space than to add a swing for the family to enjoy? Just don’t forget the cushion and throw pillows. 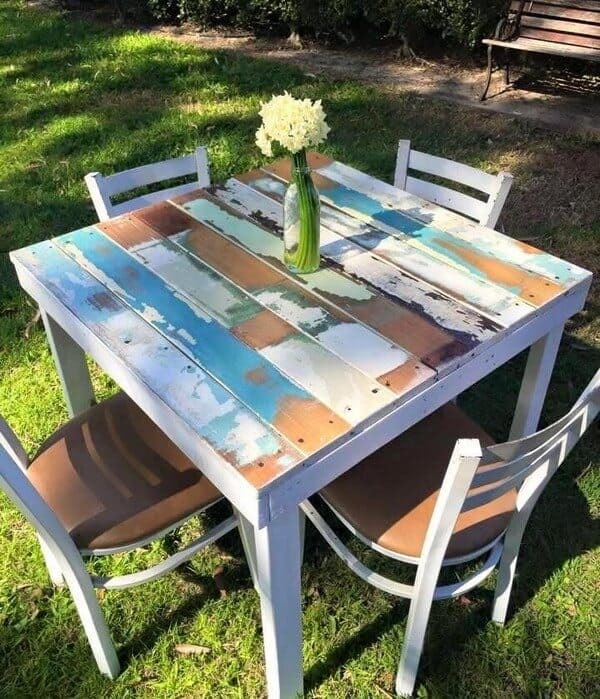 Pallets Design created this distressed outdoor dining set. We love the unique coloring and the fact that we can whip this up at home ourselves. If you need something for entertaining outside, take a closer look at this one. 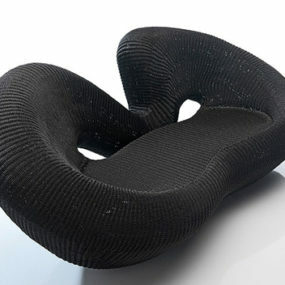 And finally, My Home Décor Guide provided up with this sweet loveseat for outside. 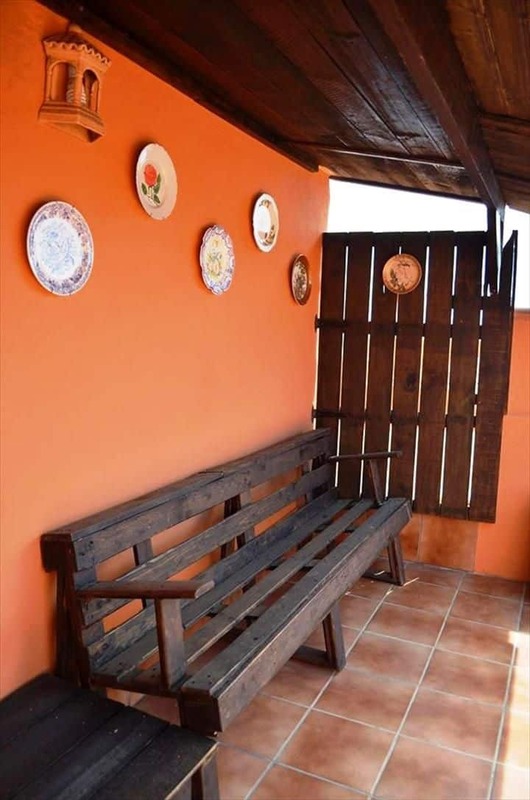 Made from wooden pallets and then dressed to impressed. Just add some cream cushions and pillows for a shabby chic finish.